This screen is accessed from a customer's Customer Activity window by selecting and then selecting . 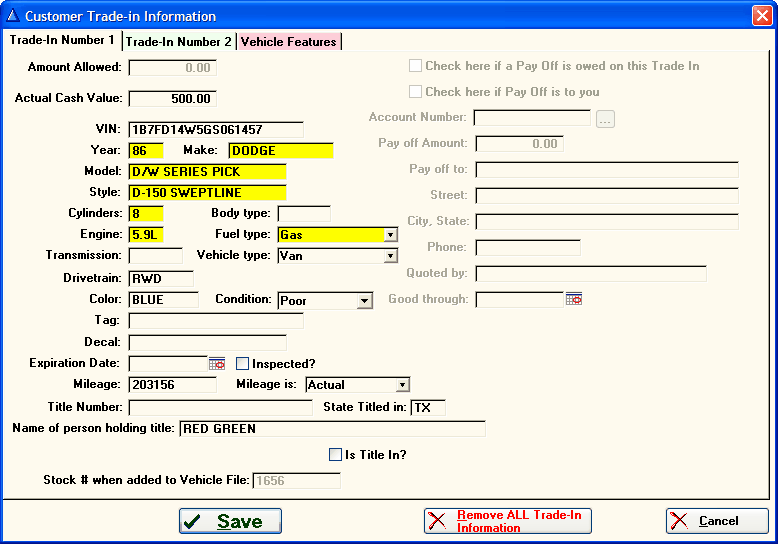 The Customer Trade-In screen lists vehicle(s) included on the deal. There are tabs for each of the possible trade-in vehicles, as well as a tab listing vehicles features for each trade-in. The information in yellow is automatically filled-in by the VIN. The area on the right is grayed out because there was no lien on the traded-in vehicle. Any field with black text may be edited.